While starting a new thread is preferable, posting in old threads is not against the forum rules. Please don't report posts for doing so. Not violating any rules, but adding an NSFW warning to clarify that the content is not something you want to be looking at in public. Forum: Fiction, Poetry, and Other Writing Topic: Where can you get cheap writing service? Post subject: Re: Where can you get cheap writing service? Please don't reply to spambot posts. The entire reason they exist is for advertisement purposes, so giving them attention in turn gives them more visibility which means they're more likely to continue spamming the forums. Report the posts and ignore them until they are dealt with. Forum: Everything Else Erfworld Topic: Theory: Trump is a carnymancer. Post subject: Re: Theory: Trump is a carnymancer. Yeah, I wasn't following this up to now, but let's not use the Erfworld forums as a soapbox to attack public figures you don't like, shall we? Just before anyone gets antsy: This threat was started by a spambot, and Xellos was replying to said spambot, I deleted the spambot's post and Xellos' post became the new OP. He's not spamming. So, question about something really basic: Is the current plan to piggyback the game onto an already existing rules-set, or is this going to be scratch-built for purpose? Forum: Your Games Topic: Welcome Final Act, what do you think? I don't see how a ruler's own units would attack him on the orders from someone not even from their side. It's physically impossible in most circumstances to engage one's own ruler, and I don't think this is one of those exceptions. 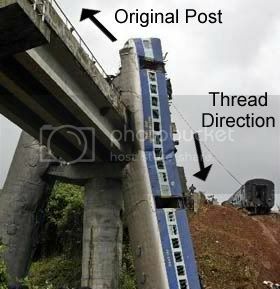 Thread closure requested by OP as contest is over. There are only four tools: The Hammer, the Pliers, The Dish and the Shoes - no Screwdriver. This behavior is completely unacceptable; thread closed. Conmor, behave yourself. There aren't any rules against reviving old threads, but it's generally considered to be in bad taste. Okay, guys, if you aren't going to stay on topic, then take the conversation to a new thread. Also, any more namecalling, and a few people are going to be taking a few days off. Oberon, 0beron, Lilwik, Lipkin: Keep it respectful, consider this a warning.